Pour yourselves a victory drink, ladies and gentlemen — this is the end of the package films! 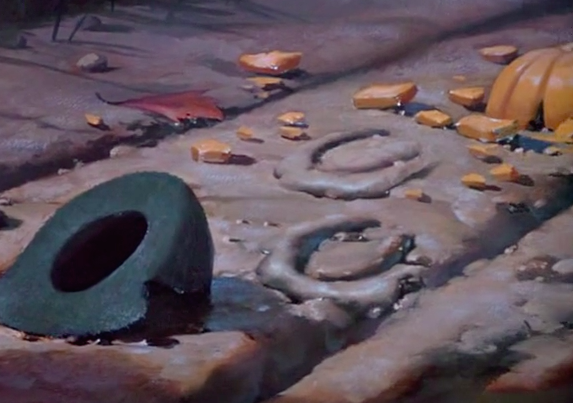 After this, it’s smooth sailing into the nostalgia of the ‘golden age’ of Disney feature films. 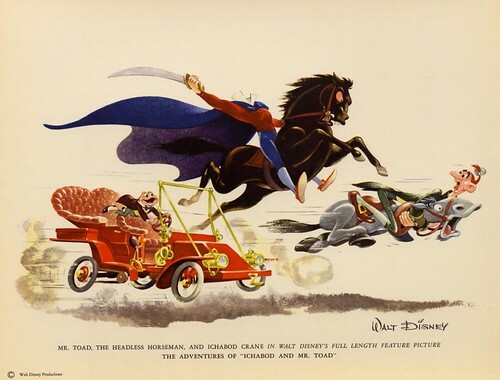 For now, settle in for the final package film of the 1940’s, comprised of two stories from classic literature, The Legend of Sleepy Hollow and The Wind in the Willows. But just what do these two things have in common?! I don’t know – we’ll find out! Bing Crosby is in it! 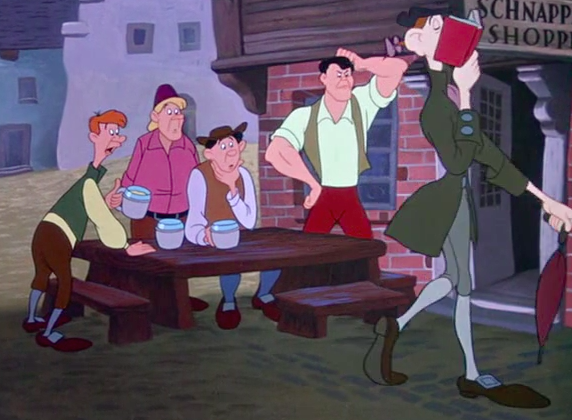 In Ichabod, Brom Bones became the inspiration for Gaston in the much-later Beauty and the Beast. 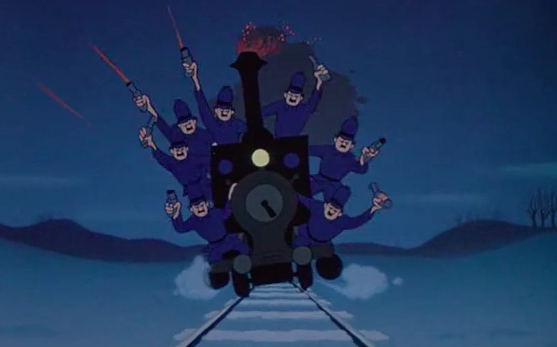 There’s a Disney legend that says one animator left working on Wind in the Willows to join the army, and four years later, he returned to work on the exact same sequence — just goes to show how much time went into these films, and how difficult the schedules were due to the war. 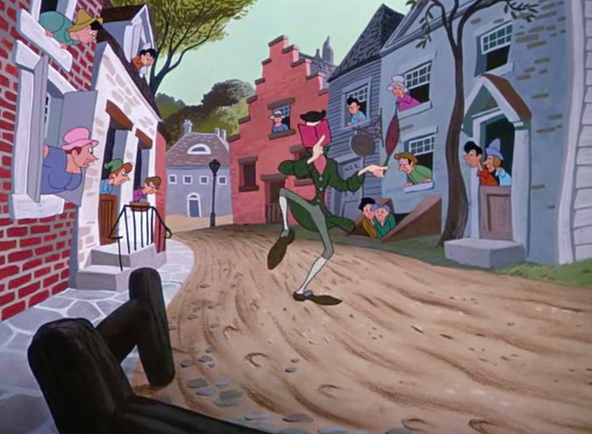 Katrina in Ichabod was closely modeled after Slue Foot Sue in Melody Time, and also Grace Martin in Make Mine Music. 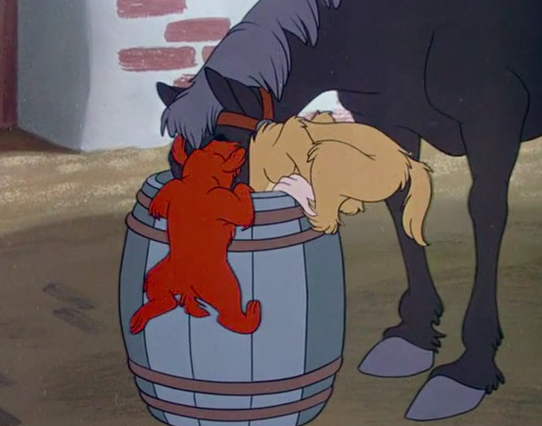 Although this isn’t a ‘true’ instance of Ye Olde Disney Re-Animated Cells (a la Jungle Book/Robin Hood), it’s darn close and it confirms how expensive animation was. 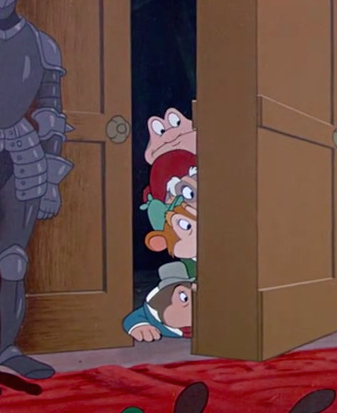 Angus McBadger complains about Toad spending too much money; this is apparently a sneaky dig at Roy O. Disney who liked to rant about how his brother Walt was spending too carelessly. 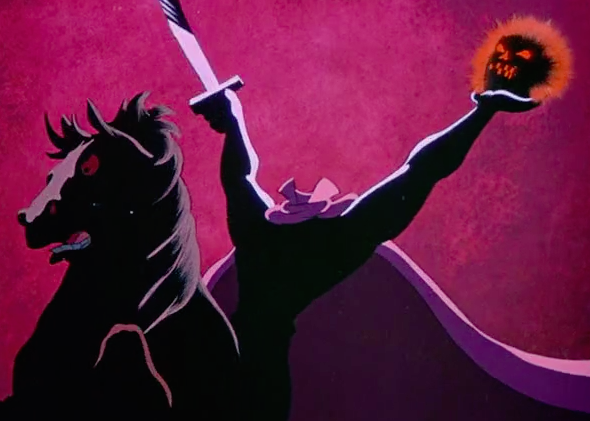 The Headless Horseman in Ichabod is — to this day — still cited in complaints from parents to Disney as being “too scary.” That’s some serious street cred. 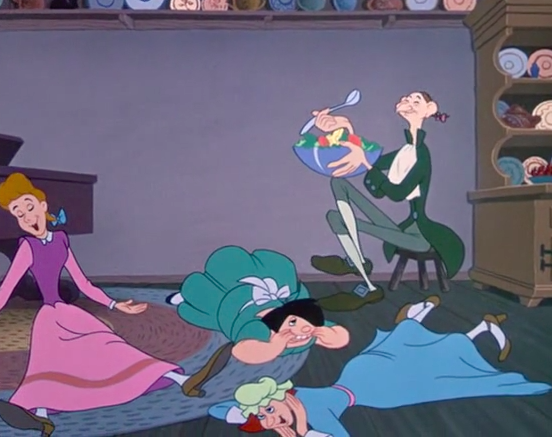 In 1938, after the release of Snow White, several animators urged Disney to grab the rights for the 1908 children’s novel The Wind in the Willows by Kenneth Grahame. 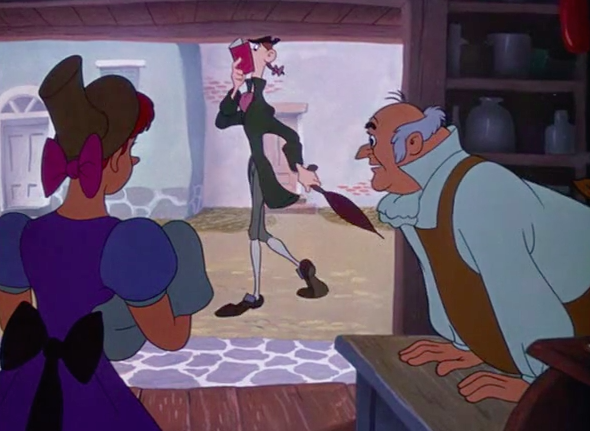 Disney was skeptical and thought it would be “too corny” but he got the rights anyhow. They began working on it, but put everything on hold in 1941 due to America’s involvement in WWII. (after the naming of several “best British literary characters”) “Wait why wasn’t Sherlock Holmes on this list?? This sequence is narrated by Basil Rathbone and Sherlock wasn’t even mentioned. 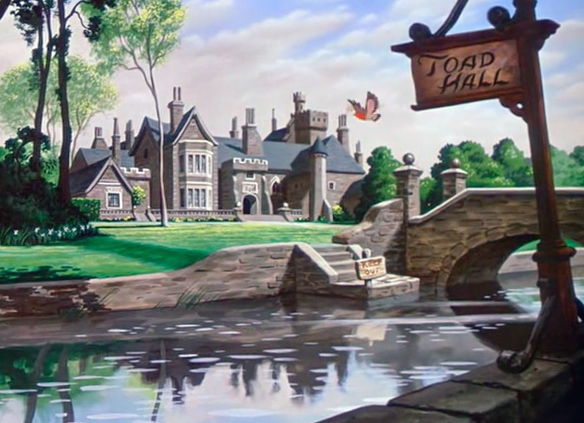 Ahh yes, picturesque Toad Hall, ancestral home of the Toad family. Bit obvious. Hang on, the mail man is human, but everyone else is a rat or a mole or a badger or a toad? 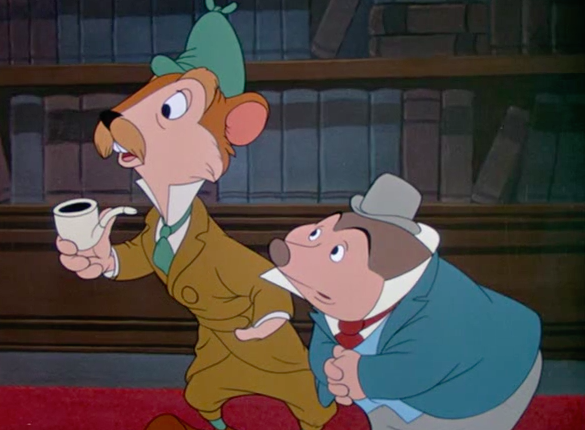 Ratty and Mole are standing in for Sherlock and Watson here. No, there’s more humans. I’m confused. 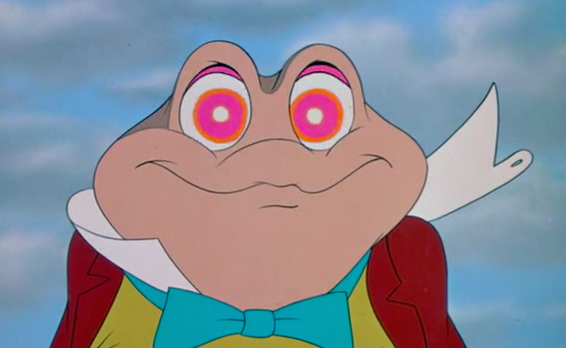 Toad is definitely insane. I think I read that there was a scene that got cut where he’s in a sanatorium. I can see why. Cyril Proudbottom is such a hobbit name. This horse is properly doofy in accordance with the name, but it’s definitely a hobbit name first and foremost. “The witness may testify in his own words.” That is to say, rhyming couplets. Druuuuuuuunk! Wait, the guy up on the top right. What is he even sleeping on?? INFINITE DAGGER THROWING! Roll 5d6 for your attack! 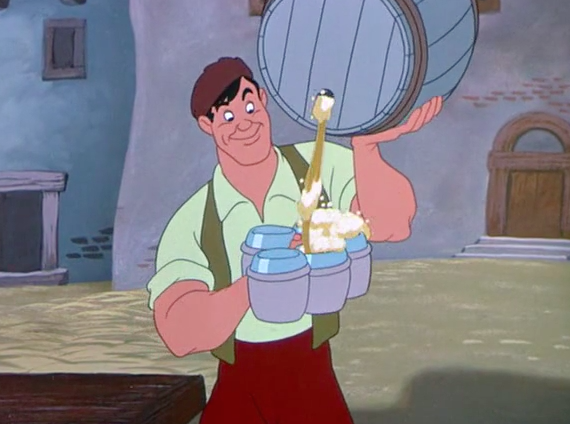 And all is well… except Toad’s back on the wagon! Or rather, the peculiar airplane. Not the wagon. He already had a wagon. ROLL CREDITS. 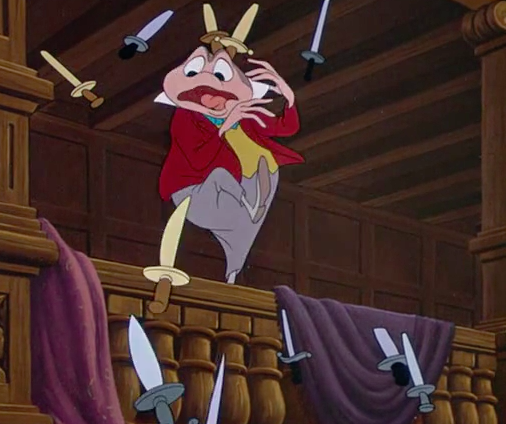 Ichabod, go home. That book is blank. You are reading a blank journal. Wait wait wait hold on. 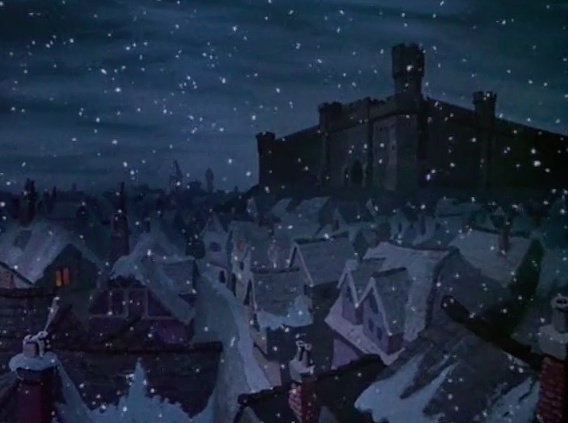 Ichabod is reading… and walking… and they’re all popping out of windows to gossip… in a little town… it’s a quiet village… hang on, THIS IS ACTUALLY BEAUTY AND THE BEAST. Katrina is a baaaaabe. A ridiculously gorgeous woman for this level of country bumpkintude around her. Equally strange is how no one can really decide if Ichabod is hot or weird looking. Except for his music students. 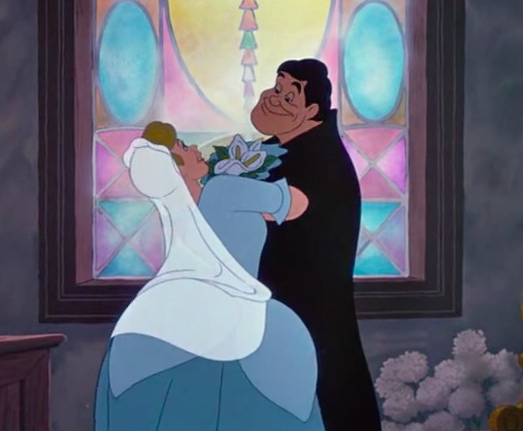 They’re worn out from swooning so I guess it’s SALAAAD TIIIIIME! Brom has fallen down a well! Brom, roll for fortitude. Somebody at this party replaced the regular pepper with cayenne without bothering to think if anyone might be allergic to it. That’s a lawsuit waiting to happen. The borrowed horse Ichabod has is definitely Cyril Proudbottom’s grandfather, George Proudbottom. Or they’re the same horse. 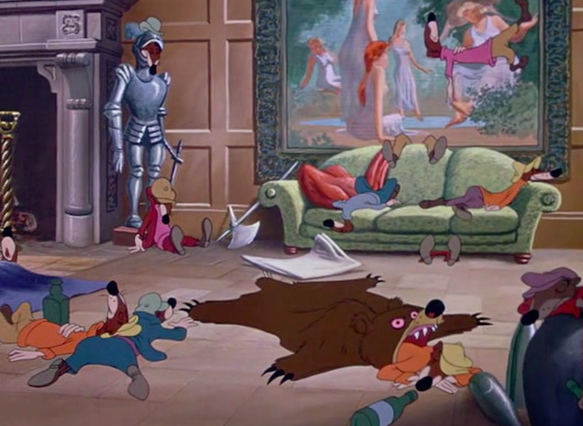 Gorgeously animated to the point that children everywhere had bad dreams. The chase scene is bizarrely scary for how comical the actual action is… but then it just all ends so abruptly… No warning, no real closure or ease-down-out-of-it at all. I… don’t understand. He’s just gone??? We all saw this coming. Seriously. Apparently the thing these two stories have in common is chase scenes. That’s what I got out of this. Commedia Bonus: 20! 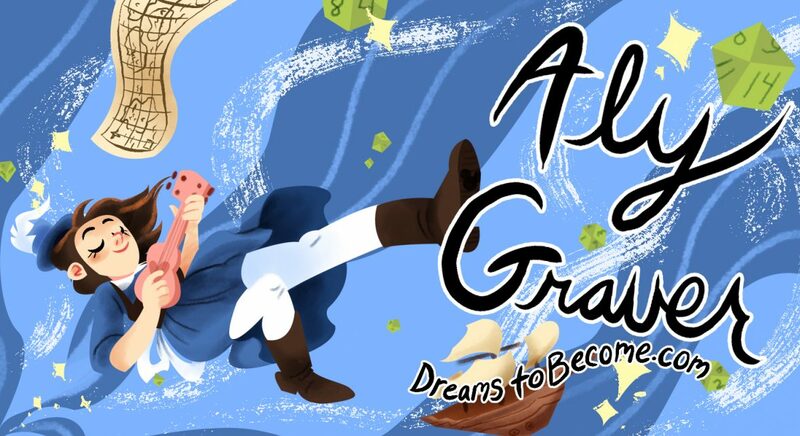 Including picnic location swap with Katrina and the suitors, chase scenes, slapstick combat, Ichabod’s bottomless stomach/hingeless jaw/ability to defy gravity and anatomy with his physical contortions and stretches.